Still waiting for that reissue. 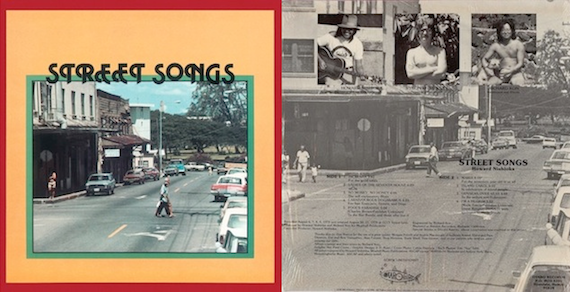 Private press Hawaiian psych monster – Howard Nishioka’s Street Songs, 1979.
thanks for the reminder, here. pulled this from you a couple years back. I dig this a lot. thanks! Mahalo! Will scour the local record shops this week. Definitely never heard of this. Sounds sweet! Also thanks for the reminder. I grabbed this from holywarbles a while back. Great album. Sounds like Blur stole the intro riff from this song for Song 2. Woohoo.